Let Unlimited Entertainment put you and your guests in the mood to celebrate this special occasion with the right mix of music and entertainment! We specialize in: Birthdays, Communions, Bar/Batmitzvah, Christenings, Retirements, Engagements, Anniversaries, or any other special event! After the first half hour, the MC will officially welcome everyone there and introduce himself and the DJ while also clearing the dance floor and having your guests find their seats. 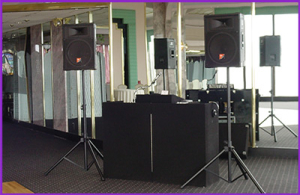 If you choose to do a Grand Entrance, the MC and DJ will accommodate you in any fashion you seek. The MC will inform everyone of the event taking place and coach the special couple or guest of honor through it while the DJ plays the song that has been selected. If you wish to use it as a photo opportunity for your guests to capture this special moment, the MC will accommodate you in any fashion you seek. Once this special moment is complete, the MC will inform your guests about the desserts and coffee that are available. Once all of the formalities are finished and everyone has enjoyed their coffee & cake, what better way to end the night by dancing the night away! 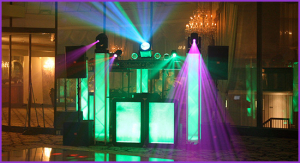 We love finishing the night off with a packed dance floor and would enjoy nothing more than playing the best kind of music for your special event to remind everyone of how much fun your party was!